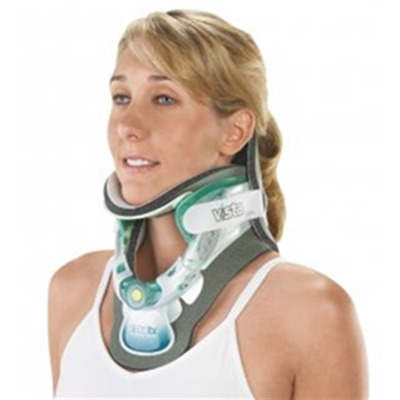 Vista TX encompasses all of the features and benefits of the Vista collar, but with a thoracic extension. Removable, foam laminated pads wick away moisture to ensure proper patient hygiene and comfort while preventing skin irritation. x-ray, CT and MRI lucent. Indication: Motion control of cervical spine flexion, extension and rotation to promote patient recovery.